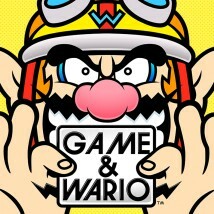 Was it easy to come up with the title “Game & Wario”? Well, we decided not to use WarioWare in the title. We were worried about giving people the wrong impression, as this game isn’t the same kind of quick-fire test of reactions that has featured in the series up to now. But we wanted something with a sound that was close to ‘WarioWare’ and the idea was that Wario himself had come up with some of the games on it, so after discussing a number of ideas, we initially went for “Game of the Wario”. At that point, staff at NOA (Nintendo of America) proposed the title “Game & Wario”. It’s a play on the old handheld Game & Watch19 games, and as both ‘Wario’ and ‘Watch’ start with a ‘W’, we thought that this would work really well visually, as a logo.19. The Game & Watch series were LCD portable games produced by Nintendo between 1980 and 1991. Each model featured a single game. The first game was called ‘Ball’ and was released in Japan in April 1980, with ‘Chef’ released in Japan in September 1981. 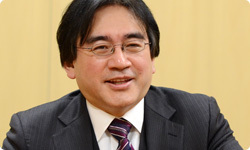 See the Iwata Asks: Game & Watch interview for an in-depth discussion of the series. It had a slightly weird ring to it, but I mean that in a good way, and as it was a title suggested by native English speakers, we thought it would work. The Japanese title for WarioWare is “Made in Wario” which was a play on “Made in Japan”, but this didn’t work in English. Yes, it’s not correct English, is it? So you decided that instead of this incorrect English, you would use “WarioWare Inc.” as the title outside of Japan. Yes, and that meant that we had a single title that would work worldwide. We then decided to make the names of the 16 games sound like old Game & Watch titles. Ah, that explains why the games have such simple names. Yes, that’s right. The original Game & Watch titles tended to be very plain, with names like ‘Ball’ and ‘Chef’. So that’s how you ended up with titles like ‘SKI’ and ‘ISLANDS’. I actually wanted to go for the name ‘Mother’ instead of ‘GAMER’. Ah, because the player character’s mother features in the game. Now, I also wanted to ask about Miiverse20.20. A network service for enjoying games even more with people all over the world through Mii characters, which is integrated into Wii U on a system level. Well, this game is packed full of great gags and surprises, so it’s really fun for players to take screen captures of these and write their own comments. Staff at Mario Club21, who worked on debugging the game, had a lot of fun with that, didn’t they?21. 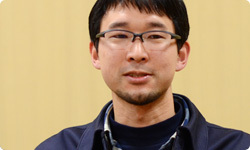 Mario Club Co., Ltd. is the company that carries out testing and debugging of games developed by Nintendo. Yes, and it was only during the debugging stage that I realised how much fun it was to take pictures of certain scenes in the game and add comments. There are all kinds of places in the game that you are going to want to share in the Miiverse. I’m really looking forward to players discovering these and putting them on display. Players are really going to have a lot of fun with this! There’s even MIIVERSE ARTWORK which is separate from the 16 main games ( screen 1 , screen 2 , screen 3 , screen 4 ). Here you can choose the subject you want from a selection of four, and draw something within a one-minute time limit. With such a strict time limit, players won’t have any time to look anything up, or do any research, will they? I remember the artwork that Mario Club came up with during the debugging phase looking pretty chaotic. Yes, it was supposed to look like this! (crossing hands in front of his chest) The actual topics for people to draw are going to be chosen by users, and we’re really looking forward to seeing what everyone comes up with. Now, to wrap things up, could I ask each of you to say a few words to the people reading this? There’s a huge amount of content in this game, so I think you’re going to be able to get a lot out of it. Well, you did work flat-out on it for two whole years. Yes, we did. This is a game you can enjoy playing alone or with a group of friends, and I think it could really get a party swinging. Oh, and I also want people to do their best to collect every ‘CHICK-N-WIN’ bonus item. There are 240 to collect! But I suppose that’s just the nature of WarioWare. Yes, this wasn’t the plan at all! (laughs) But with this title, it wasn’t like working on a WarioWare title. 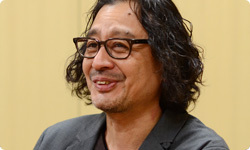 In a way, it was like starting from scratch again. Everything was new, including the actual format of the game. That’s right. I’ve never experienced anything like this before, in terms of coming up with this volume of gameplay ideas, making sure everything it’s all well-balanced. And this is for 16 games! It really feels like we have been working on a kind of “WarioWare Greatest Hits” for the last two years. That’s why I hope that a lot of people will get to play this game, and that players will really enjoy using Miiverse to share all the fun ideas we’ve included in the game. As we discussed earlier in the interview, we had specialists from the Software Development Department lending their support, and with the addition of their know-how, we ended up with a game that’s brimming with content. That’s why I think that when you play with your friends or family, it’s completely fine to have one particular game where you really excel and which you want to play all the time. Really getting absorbed in one part of the game is one way of enjoying it. Also, without meaning to labour the point, I really want to see people shaking with fear as they play ‘GAMER’. And then if you get tired of ‘GAMER’, you can always get those girls to follow you on the ski slope! There are all sorts of ways to enjoy this game, you see. When I play the retail version at home, I want to see whether or not I can manage to ski with all those girls following in my wake. Thank you all very much for joining me today.